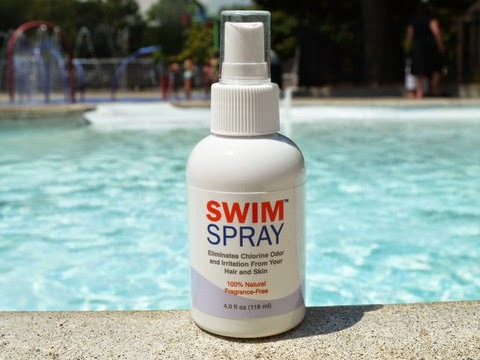 Susan Heim on Parenting: Eliminate Chlorine Irritation and Damage with All-Natural SwimSpray! Fun Stocking Stuffer Idea: PetPods for Kids! Eliminate Chlorine Irritation and Damage with All-Natural SwimSpray! One of my twins is on a year-round swim team, and he does not like to wear a cap or keep his hair short, so you can imagine what poor condition his hair is in thanks to the constant exposure to chlorine. Therefore, I was really eager for him to try out a new product called SwimSpray! This all-natural shower spray uses 100% Vitamin C-based technology to help eliminate chlorine odor and irritation from both the hair and skin. When my son climbs into the shower after a swim, he wets down his hair and body, and then sprays them generously with SwimSpray. Then he shampoos and washes as usual. He no longer smells like chlorine, and his hair is looking much healthier! He thinks it’s fun to spray it on his hair, so I have no trouble at all getting him to use it. SwimSpray was developed by Andrew Chadeayne, a former Princeton University swimmer who holds a PhD in Chemistry. He spent months researching the formula in SwimSpray to help neutralize the chlorine that was left on his hair and skin after a swim. It has been extremely successful and is now used by national and Olympic swimmers! SwimSpray can be used on children over the age of 6 months. It comes in a 4 ounce bottle containing more than 600 sprays (approximately 20-30 swims). It retails for $15 at www.swimspray.com and at select swim shops. If you or someone you know swims for fun, fitness or competitively, pick up a bottle of SwimSpray to try. Makes a great stocking stuffer for the holidays!